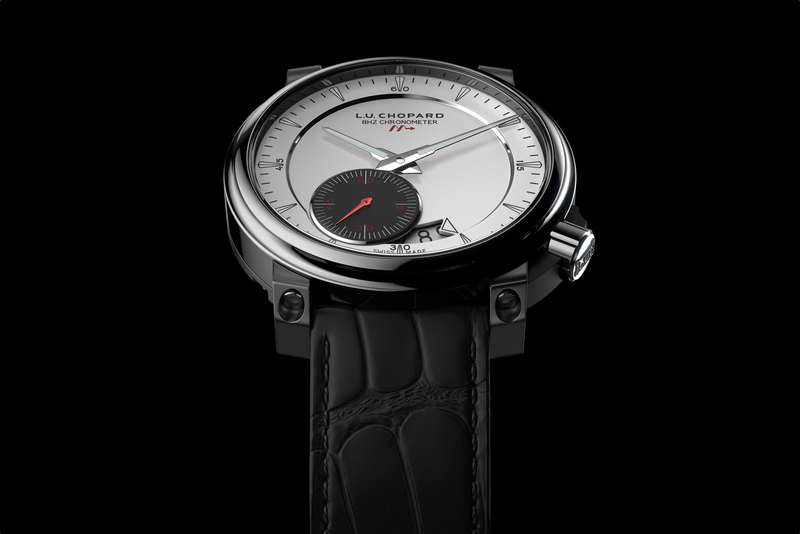 Chopard introduced an experimental high frequency timepiece at Baselworld this year — the L.U.C. 8HF. The new timepiece was developed in Chopard’s manufacture in Fleurier, Switzerland and as its name suggests it runs at a frequency of 8Hz. While not the fastest mechanical watch movement on the market, it still is quite fast. The most common modern automatic movement frequency is (4Hz or 28,800 vph), or half of what the L.U.C 01.06-L runs at (8Hz or 57,600 vph). By comparison, the famous high frequency Zenith El Primero movement runs at (5Hz or 36,000 vph). What is the benefit of having a higher frequency watch movement? 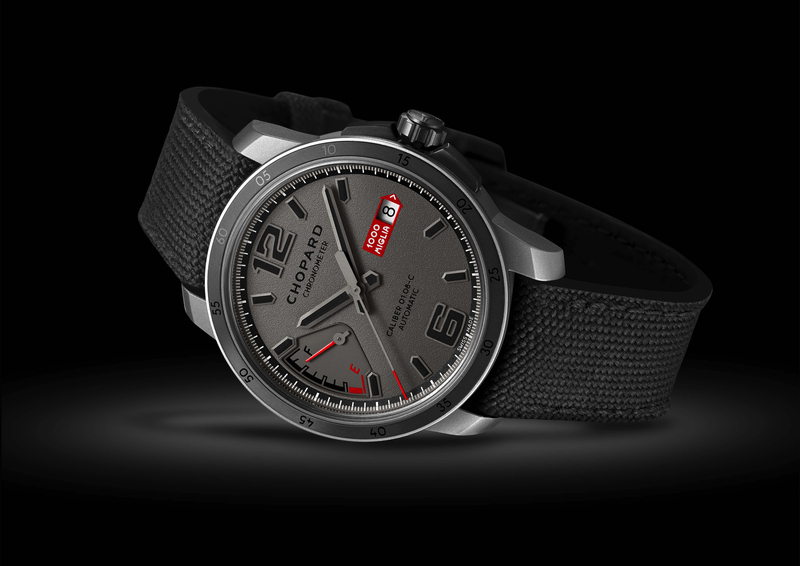 Passing the COSC testing is an important benchmark that the Chopard L.U.C. team has achieved. However, considering the promised benefits of high frequency technology I would think the movement should be able to not only meet, but to actually exceed the COSC performance requirements. The case is titanium and measures 42 mm x 11.47 mm. Sapphire crystal with anti-glare treatment. A matte black titanium caseback with a magnified window reveals the high-frequency escapement. Silver-grained dial with a black small seconds counter. Hour and minute hands are rhodiumed and the small seconds hand is red. 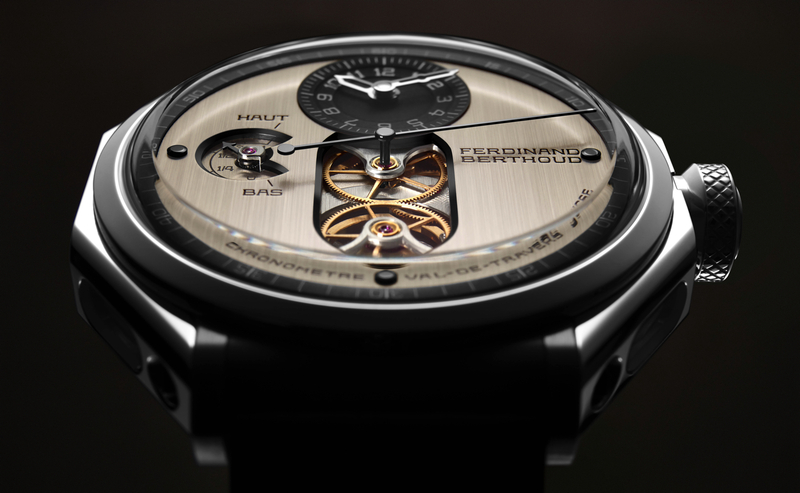 Mechanical self-winding caliber L.U.C 01.06-L has 31 jewels, a frequency of 57,600 vph (8Hz) and a 60-hour power reserve. Bridges decorated with Côtes de Genève. Chronometer-certified COSC. 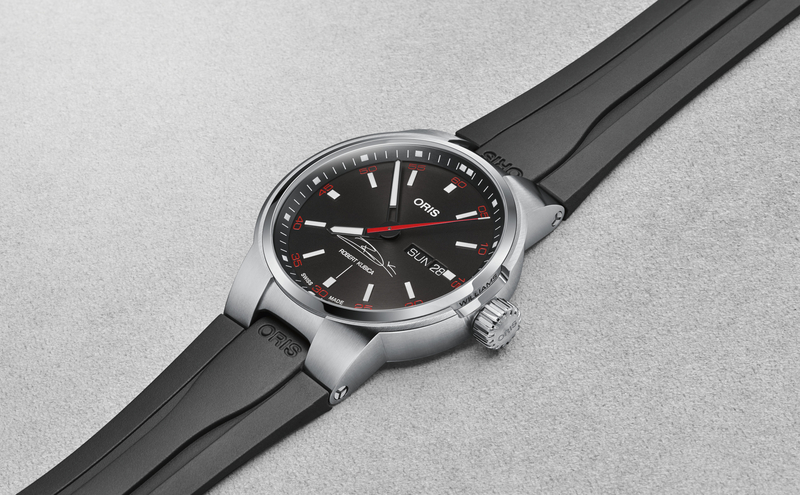 Functions include central hour and minute hands, small seconds at 7 o’clock, date window at 5.30 with red arrow. Hand-sewn matte black alligator leather with cognac-coloured alligator lining with titanium pin buckle. Limited to 100 pieces. High frequency technology naturally requires higher durability materials, as more movement and friction causes more wear. To combat this common watchmaking problem, Chopard chose to work with silicon for certain escapement components (impulse-pin, level, escape wheel) and even developed a new means of fixing silicon on steel (patent pending). High rate also means more energy consumption, and Chopard has responded to this by developing a single barrel system with a remarkable power reserve of 60-hours.